Minecraft The Card Game ? 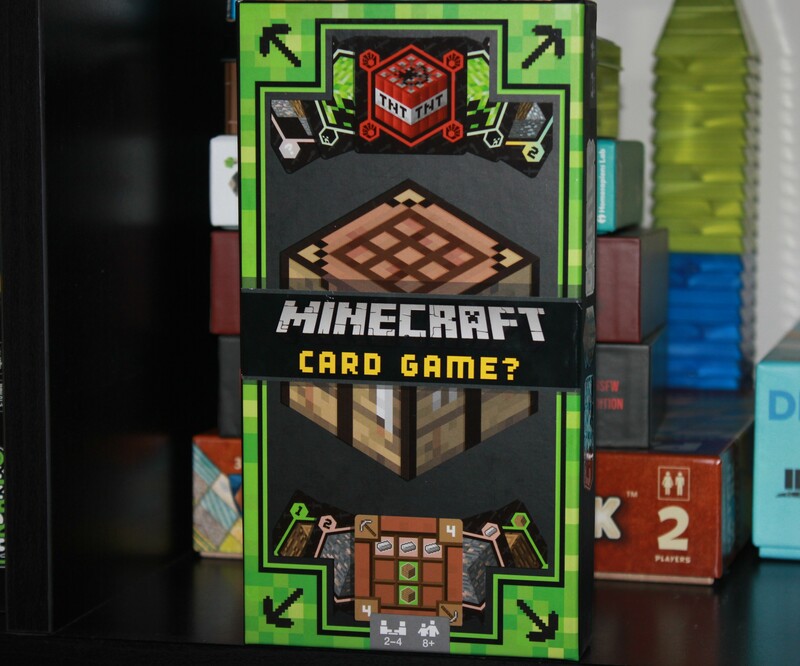 This Minecraft card game surprised me. It’s much better than I had excepted. I am pleasantly surprised. This game is fun. It’s great for families and it will be a wonderful filler game. Best of all is the theme. Which I am a sucker for. Object of the game is each the goal points first. Point goal changes depending on the number of players. Basics of the game. Players will “mine” resource cards and then use your cards to “craft” an item. When you craft an item you will earn points and be able to use that crafted items tool power. During each turn you will be able to make 2 actions. You may play and combination of actions you want for your turn.There are 3 types of action Mine, Craft, or Reserve. Mine is collecting a resource from the top of the pile into your hand. Craft is using you resource that are require to mine a item. Once you mine your item place it in front of you & discard your used resources. Reserve is placing a card you desire into your reserve card holder. You may one reserve one card at a time.